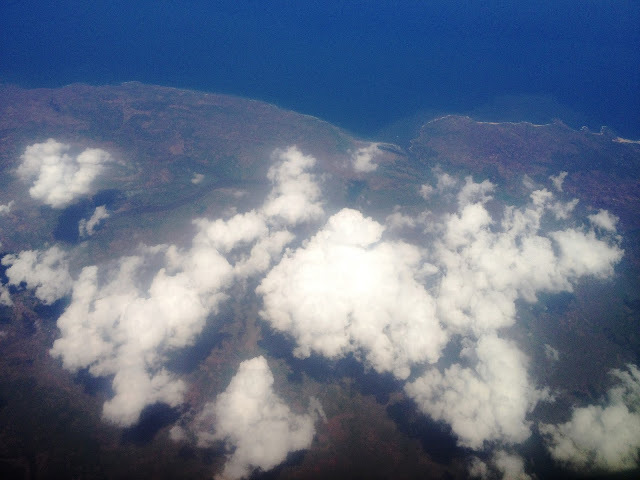 Cloud gazing is as much fun from above as it is from down below. Now this sounds like a funny sentence – up-down, above-below! No, this post is not about how to use antonyms in a sentence, not at all. 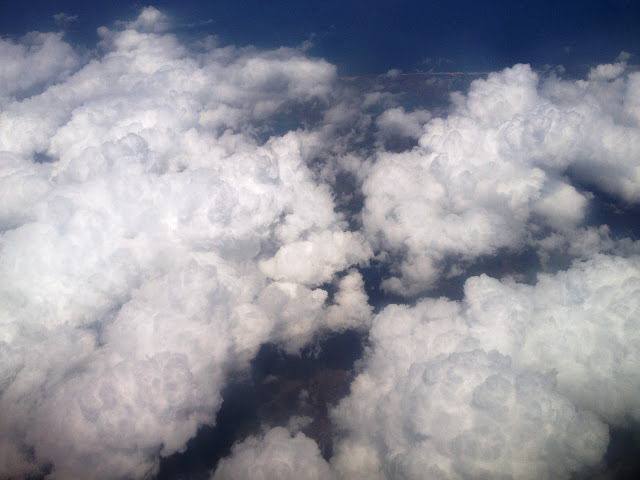 Rather it celebrates the beauty of clouds and the fun that cloud gazing is. I love cloud gazing. The patterns cloud make in the sky fascinate me endlessly and my flight of imagination soars. 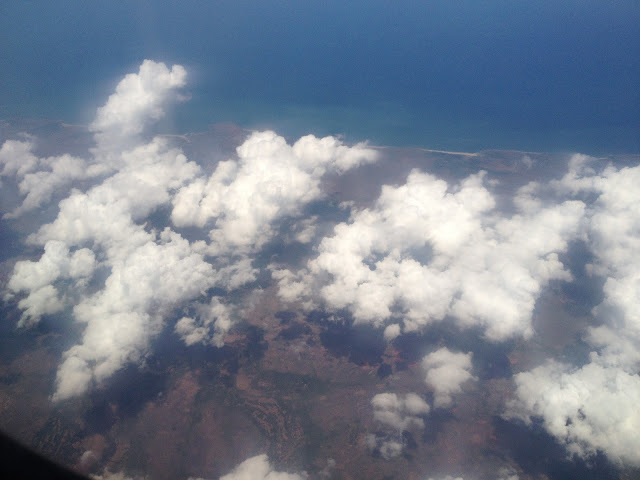 During flights too my favourite past time is gazing down below from the window seat and admiring the clouds rolling by. 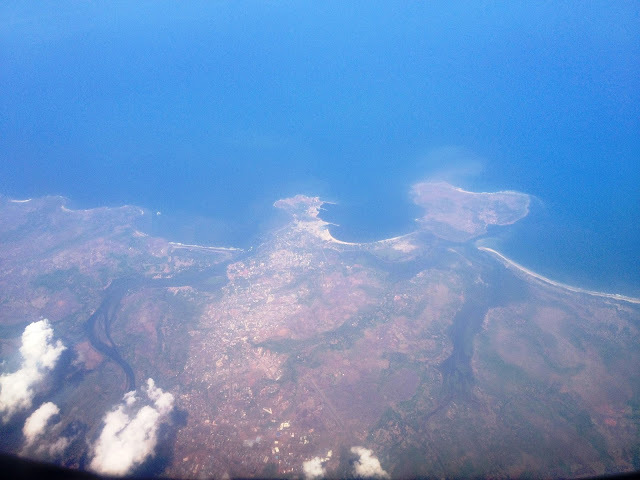 During a recent flight from Mumbai to Goa, I had a lovely time seeing the clouds too headed for monsoon bound Goa! I had been taking photos from my phone all along, so it was interesting to note the skyscape changing from clear to cloudy. 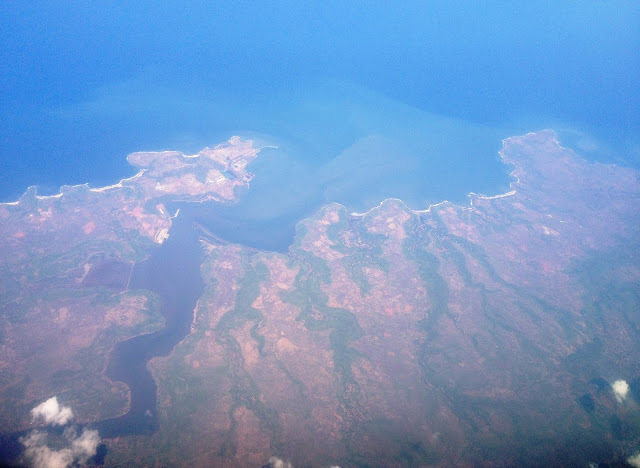 Here are some photos from the flight, hope you enjoy them! Guess what, I made a video of the clouds too! Now that clouds are missing from the skies these days, you can watch this small video of them floating by and get some virtual respite from the humid weather! Hope you enjoyed this cloudy post! Do share your thoughts in the comments box below! And a big high five if you are a cloud gazer too! 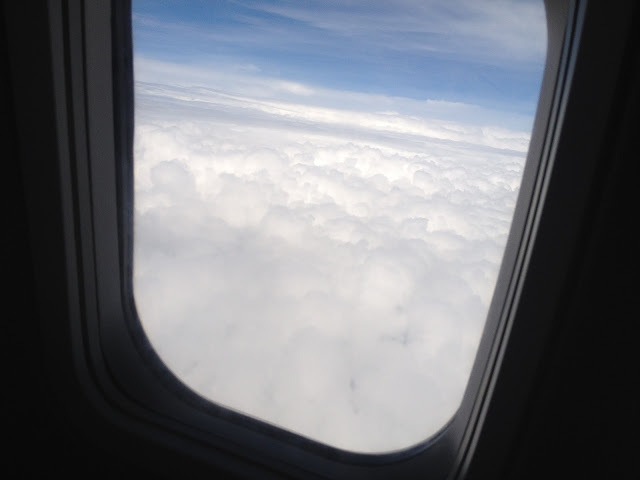 It is a different kind of joy watching clouds from above when compared to sights from below. You are allowing us also to enjoy the joy of cloud gazing. Now this is called awesome! I cannot help but marvel at the huge bag of surprises that this universe is! Observe closely and everything is spellbinding! Glad you enjoyed the photos and the video, Neeraj. Beautiful clicks. Cloud gazing is fun! Beautiful transition from clear to cloudy!